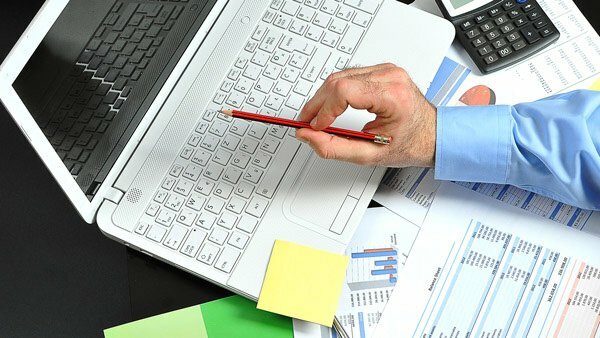 Small Business Accounting Services - Toledo, Ohio. As a small business owner you have more important things to do than to keep your own books. We take care of your books for you, so you can get back to the job of running your business and generating income. Know how your small business is doing. – You can’t really know unless all accounts are reconciled and properly accounted for on your financial statement. Manage your cash more effectively – Proper management of funds not only saves money, it makes money for you. Protect yourself – By timely reconciling and promptly objecting to your bank about any unauthorized, fraudulent or forged checks presented to your bank and paid by that bank, you can relieve your agency of responsibility for the shortfall and transfer the risk to the bank. Sleep Better – You will sleep more peacefully at night knowing your bank accounts are reconciled, in balance and that all escrow funds, accounts, checks and disbursed funds are properly accounted for. Determine what areas of your small business are over-budget or under-budget. Identify specific items that are causing unexpected expenditures. Such as phone, Internet, mail, or supply expenses. Track increases in product returns or cost of goods sold as a percentage of sales. Determine if your small business can easily handle the normal financial ebbs and flows of revenues and expenses? The general ledger is the core of your company’s financial records. These records constitute the central “heart” of your system. Since every transaction flows through the general ledger, a problem with your general ledger throws off all your books. Having us review your general ledger system each month allows us to reveal any discrepancies such as double billings or any unrecorded payments. Then we will fix these discrepancies so your books are always accurate and up to date.